For women, hair loss can be a much worse blow to your self-esteem than it is for men. If you are a woman experiencing hair loss, hair replacement for women from Great Hair Restoration of Oklahoma can help you restore your hair and your self-confidence. Dr. McMullen has helped many women overcome the pains of hair loss using the NeoGraft hair restoration procedure. He’s ready to do the same for you! Alopecia, a condition commonly called “Male Pattern Baldness,” can also cause hair loss problems for women. 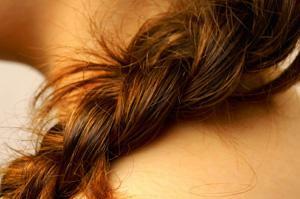 The condition causes the hair to thin, and eventually, the follicles stop growing hair altogether. Not to worry: hair implants for women can correct this problem. NeoGraft is a minimally-invasive female hair transplant procedure that replaces the hair lost due to alopecia and other conditions. No scars: You won’t see any visible evidence of a hair transplant procedure – other than a great head of hair, that is. Quick recovery: Most of our patients can return to work the day after their procedure. Painless: This minimally-invasive procedure won’t cause you any pain or discomfort. The NeoGraft procedure can be personally tailored to your head of hair – so that you restore your natural hairline and your self-confidence. The results of our female hair transplant patients speak for themselves. Dr. McMullen and the staff at Great Hair Restoration of Oklahoma are dedicated to helping men and women regain their natural, beautiful hair. We offer a free consultation to answer your questions about hair transplants for women and determine how we can best meet your needs. Just call (405) 751-4847 to schedule your free consultation or click here for more information about the cost of a female hair transplant.